The Centre for Law and Democracy participated in the Nepal International Media Partnership (NIMP) mission to Nepal from 19 to 23 April, the eighth such mission which has been held since the first one ten years ago in 2005. 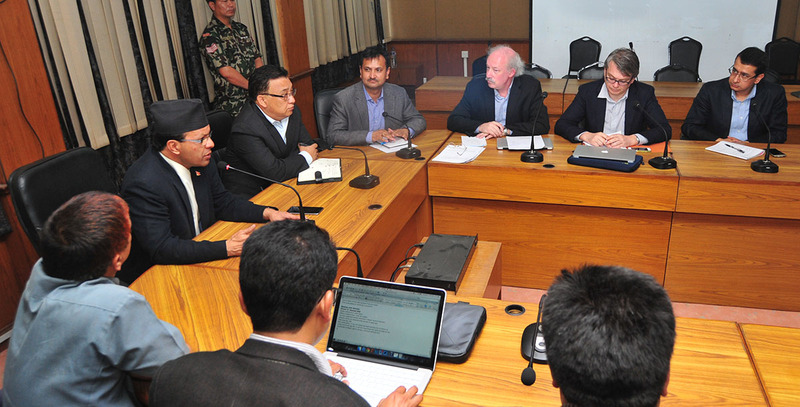 The aim of this Mission was to assess the media freedom situation in Nepal and to provide support for reform initiatives. The Mission focused on two key areas, the creation of a specialised safety mechanism to address attacks on those exercising their right to freedom of expression and the ongoing need for legal and policy reform. A Joint Statement was issued at the end of the Mission setting out key findings and recommendations. The new mechanism will be overseen by the National Human Rights Commission and will be developed in close consultation with key stakeholders. CLD has already provided preliminary input on the proposals as a member of the Mission, and has promised to continue to work with the Commission and others as the mechanism develops. In terms of legal and policy reform, the last mission, in February 2012, provided a detailed analysis of the draft constitutional proposals relating to freedom of expression, media freedom and the right to information. The proposals have not changed since that time so we will now follow this up with a short document setting out specific constitutional proposals in these areas. We will also provide detailed suggestions as to what should be included in a new Media Policy being developed by the Minister of Information and Communications.